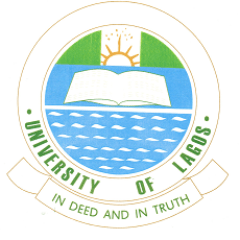 University of Lagos, UNILAG post UTME screening test schedule for the 2017/2018 academic session. Latest Update: UNILAG Post UTME Result for the 2017/2018 Session is Out. The management of the University of Lagos (UNILAG) has rescheduled 2017/2018 Post-Unified Tertiary Matriculation Examination (Post-UTME) Aptitude Test to hold from Wednesday 4th to Saturday 7th October, 2017. Comment Text*I was told we should upload. our waec result (grades) on the portal if not post utme result. will not be released. Please when are the results going to be released? Please what are the structure of the questions coming from each of the three subjects-maths,Eng&General paper? Is it gonna be 20 for Eng,10 for Maths & 10 for General Paper? Comment Text* I went to reprint my exam pass today and my exam date is 07/10/2017…..and unilag will conduct its text from 4th to 6th of October.. plss I don’t understand wot is going on?